Beautiful 4BR Home in Desirable Brittany Hills! - Shannon Doser Group and Assoc. 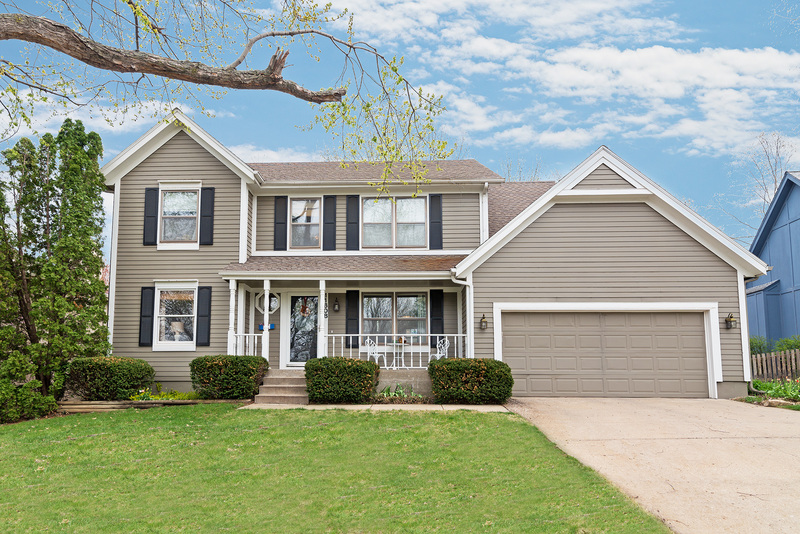 Welcome home to 11608 S. Burch Street in the very desirable Brittany Hills community of Olathe. This is a beautiful four bedroom, two full and one half bath home offering 2,733 square feet of living space. Adjacent to the family room is the light and bright eat-in kitchen showcasing abundant white cabinetry, gorgeous counters, stainless steel appliances, full tile backsplash, built-in desk, and wonderful breakfast area with bay window and lighted ceiling fan. Off the kitchen is the formal dining room featuring wood floors, chair railing, crown moulding, chandelier lighting and a large window. Also on the main level are the living room with wood floors, refreshing lighted ceiling fan and crown moulding, a half bath for the convenience of your guests, and the laundry room. Upstairs, you will find all four bedrooms, including the master suite, and two full baths. Downstairs is the finished basement with rec room, second fireplace, two bonus rooms and the second laundry room. Outside, spend time with family and friends on the rear patio overlooking the large, grassy and fenced back yard with mature shade trees. What a wonderful spot to relax after a long day. This home also features a 2-car attached garage. To receive info and pictures to your mobile phone, text “SDG8” to 79564.